The Dogs “Fed Up” LP ltd repress on white vinyl! 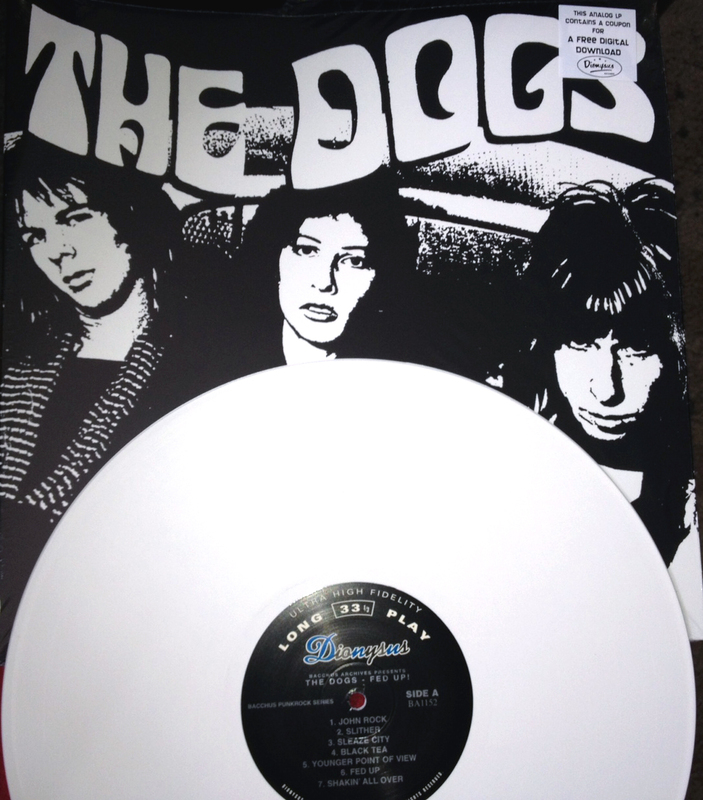 In the late ’70s LA punk scene, Detroit/Los Angeles transplants The Dogs were considered too rock for the punks and to punk for the rockers – when their “Slash Your Face” 7″ EP was included on the legendary Killed By Death bootleg in 1987, their stature rose among records collectors with good reason – the band played aggressive MC5, Stooges, early Alice Cooper inspired motor city rock ‘n’ roll. The original line-up of The Dogs still play shows here and there – if you have a chance, go see them!